Dutch painter Piet Mondrian died in New York City in 1944, but his work and legacy have been far from static since then. From market pressures to personal relationships and scholarly agendas, posthumous factors have repeatedly transformed our understanding of his oeuvre. 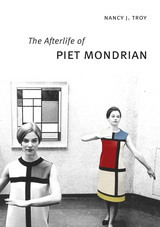 In The Afterlife of Piet Mondrian, Nancy J. Troy explores the controversial circumstances under which our conception of the artist’s work has been shaped since his death, an account that describes money-driven interventions and personal and professional rivalries in forthright detail. Troy reveals how collectors, curators, scholars, dealers and the painter’s heirs all played roles in fashioning Mondrian’s legacy, each with a different reason for seeing the artist through a particular lens. She shows that our appreciation of his work is influenced by how it has been conserved, copied, displayed, and publicized, and she looks at the popular appeal of Mondrian’s instantly recognizable style in fashion, graphic design, and a vast array of consumer commodities. Ultimately, Troy argues that we miss the evolving significance of Mondrian’s work if we examine it without regard for the interplay of canonical art and popular culture. A fascinating investigation into Mondrian’s afterlife, this book casts new light on how every artist’s legacy is constructed as it circulates through the art world and becomes assimilated into the larger realm of visual experience. In 1904, renowned architect Daniel Burnham, the Progressive Era urban planner who famously “Made No Little Plans,” set off for the Philippines, the new US colonial acquisition. 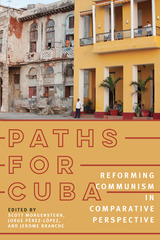 Charged with designing environments for the occupation government, Burnham set out to convey the ambitions and the dominance of the regime, drawing on neo-classical formalism for the Pacific colony. The spaces he created, most notably in the summer capital of Baguio, gave physical form to American rule and its contradictions. In American Imperial Pastoral, Rebecca Tinio McKenna examines the design, construction, and use of Baguio, making visible the physical shape, labor, and sustaining practices of the US’s new empire—especially the dispossessions that underwrote market expansion. 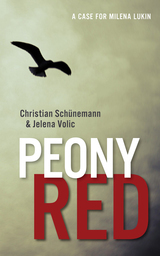 In the process, she demonstrates how colonialists conducted market-making through state-building and vice-versa. 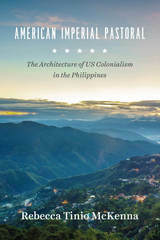 Where much has been made of the racial dynamics of US colonialism in the region, McKenna emphasizes capitalist practices and design ideals—giving us a fresh and nuanced understanding of the American occupation of the Philippines. Discussing an aspect of the European avant-garde that has often been neglected-its relationship to the embodied experience of food, its sensation, and its consumption-Cecilia Novero exposes the surprisingly key roles that food plays in the theoretical foundations and material aesthetics of a broad stratum of works ranging from the Italian Futurist Cookbook to the magazine Dada, Walter Benjamin's writings on eating and cooking, Daniel Spoerri's Eat Art, and the French New Realists. 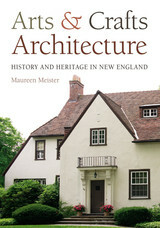 Architecture and Modern Literatureexplores the representation and interpretation of architectural space in modern literature from the early nineteenth century to the present, with the aim of showing how literary production and architectural construction are related as cultural forms in the historical context of modernity. 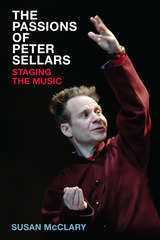 In addressing this subject, it also examines the larger questions of the relation between literature and architecture and the extent to which these two arts define one another in the social and philosophical contexts of modernity. 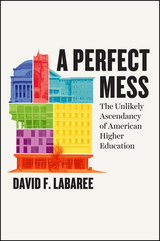 Architecture and Modern Literature will serve as a foundational introduction to the emerging interdisciplinary study of architecture and literature. David Spurr addresses a broad range of material, including literary, critical, and philosophical works in English, French, and German, and proposes a new historical and theoretical overview of this area, in which modern forms of "meaning" in architecture and literature are related to the discourses of being, dwelling, and homelessness. Among the many books available on Frank Lloyd Wright, William Allin Storrer’s classic The Architecture of Frank Lloyd Wright: A Complete Catalog is the authoritative guide to all of Wright’s built work. 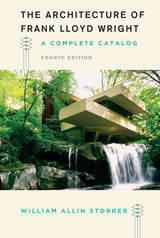 This updated third edition revisits each of Wright’s extant structures, tracing the architect’s development from his Prairie works, such as the Frederick Robie house in Chicago, to the last building constructed to his specifications, the magnificent Aime and Norman Lykes residence in Arizona. Renowned expert William Storrer deftly incorporates a series of key revisions and brings each structure’s history up to the present day, as some buildings have been refurbished, some moved, and others sadly abandoned or destroyed by natural disasters like Hurricane Katrina—including the James Charnley bungalow in Ocean Springs, Mississippi. 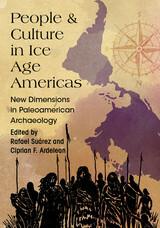 Organized chronologically, this updated third edition features full-color photographs of all extant work along with a description of each building and its history. Storrer also provides full addresses, GPS coordinates, and maps of locations throughout the United States, England, and Japan, indicating the shortest route to each building—perfect for Wright aficionados on the go. From Fallingwater to the Guggenheim, Frank Lloyd Wright is the undisputed master of American architecture. Now fully revised, The Architecture of Frank Lloyd Wright: A Complete Catalog will be indispensable for anyone fascinated with the architect’s unique genius. From sprawling houses to compact bungalows and from world-famous museums to a still-working gas station, Frank Lloyd Wright’s designs can be found in nearly every corner of the country. While the renowned architect passed away more than fifty years ago, researchers and enthusiasts are still uncovering structures that should be attributed to him. William Allin Storrer is one of the experts leading this charge, and his definitive guide, The Architecture of Frank Lloyd Wright, has long been the resource of choice for anyone interested in Wright. 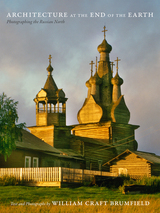 Thanks to the work of Storrer and his colleagues at the Rediscovering Wright Project, thirty-seven new sites have recently been identified as the work of Wright. Together with more photos, updated and expanded entries, and a new essay on the evolution of Wright’s unparalleled architectural style, this new edition is the most comprehensive and authoritative catalog available. Organized chronologically, the catalog includes full-color photos, location information, and historical and architectural background for all of Wright’s extant structures in the United States and abroad, as well as entries for works that have been demolished over the years. A geographic listing makes it easy for traveling Wright fans to find nearby structures and a new key indicates whether a site is open to the public. Publishing for Wright’s sesquicentennial, this new edition will be a trusted companion for anyone embarking on their own journeys through the wonder and genius of Frank Lloyd Wright. The Art of Mechanical Reproduction presents a striking new approach to how traditional art mediums—painting, sculpture, and drawing—changed in the twentieth century in response to photography, film, and other technologies. 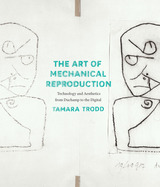 Countering the modernist view that the medium provides advanced art with “resistance” against technological pressures, Tamara Trodd argues that we should view art and its practices as imaginatively responding to the potential that artists glimpsed in mechanical reproduction, putting art into dialogue with the commercial cultures of its time. The Art of Mechanical Reproduction weaves a rich history of the experimental networks in which artists as diverse as Paul Klee, Hans Bellmer, Ellsworth Kelly, Robert Smithson, Gerhard Richter, Chris Marker, and Tacita Dean have worked, and it shows for the first time how extensively technological innovations of the moment have affected their work. Original and broad-ranging, The Art of Mechanical Reproduction challenges some of the most respected and entrenched criticism of the past several decades—and allows us to think about these artists anew. Arthur Dove, often credited as America’s first abstract painter, created dynamic and evocative images inspired by his surroundings, from the farmland of upstate New York to the North Shore of Long Island. But his interests were not limited to nature. Challenging earlier accounts that view him as simply a landscape painter, Arthur Dove: Always Connect reveals for the first time the artist’s intense engagement with language, the nature of social interaction, and scientific and technological advances. Rachael Z. DeLue rejects the traditional assumption that Dove can only be understood in terms of his nature paintings and association with photographer and gallerist Alfred Stieglitz and his circle. 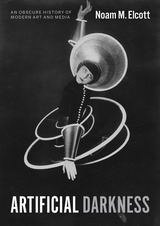 Instead, she uncovers deep and complex connections between Dove’s work and his world, including avant-garde literature, popular music, meteorology, mathematics, aviation, and World War II. 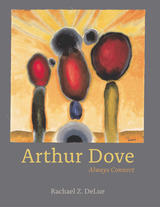 Arthur Dove also offers the first sustained account of Dove’s Dadaesque multimedia projects and the first explorations of his animal imagery and the role of humor in his art. Beautifully illustrated with works from all periods of Dove’s career, this book presents a new vision of one of America’s most innovative and captivating artists—and reimagines how the story of modern art in the United States might be told. Aby Warburg’s Mnemosyne Atlas (1925–1929) is a prescient work of mixed media assemblage, made up of hundreds of images culled from antiquity to the Renaissance and arranged into startling juxtapositions. Warburg’s allusive atlas sought to illuminate the pains of his final years, after he had suffered a breakdown and been institutionalized. It continues to influence contemporary artists today, including Gerhard Richter and Mark Dion. In this illustrated exploration of Warburg and his great work, Georges Didi-Huberman leaps from Mnemosyne Atlas into a set of musings on the relation between suffering and knowledge in Western thought, and on the creative results of associative thinking. 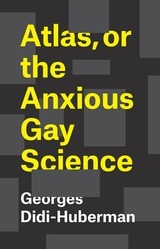 Deploying writing that delights in dramatic jump cuts reminiscent of Warburg’s idiosyncratic juxtapositions, and drawing on a set of sources that ranges from ancient Babylon to Walter Benjamin, Atlas, or the Anxious Gay Science is rich in Didi-Huberman’s trademark combination of elan and insight.